Bandai Namco to expand the original capacity of the closed beta. 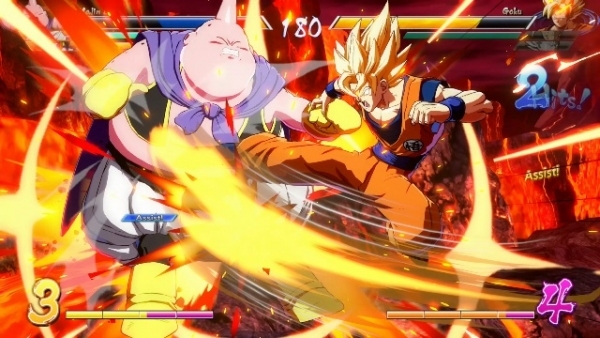 The closed beta for Dragon Ball FighterZ will run from September 16 to 18, Bandai Namco announced. Sign-ups, which were previously announced to open on July 26, have been moved to August 22 in order to expand the capacity of the closed beta in an effort to enable more players to participate. This includes bolstering background systems to ensure the closed beta registration and selection process can accept the volume of anticipated sign-ups. This does not affect Japan, however, whose sign-ups for the PlayStation 4 closed beta opened today. Simply download this free application ticket for your chance to participate. Beta dates for Japan have yet to be announced. Dragon Ball FighterZ is due out worldwide for PlayStation 4, Xbox One, and PC in early 2018.